This annual feature champions the combination of youth & diversity, as we look to reward 10 of the best young individuals across 10 primary categories. 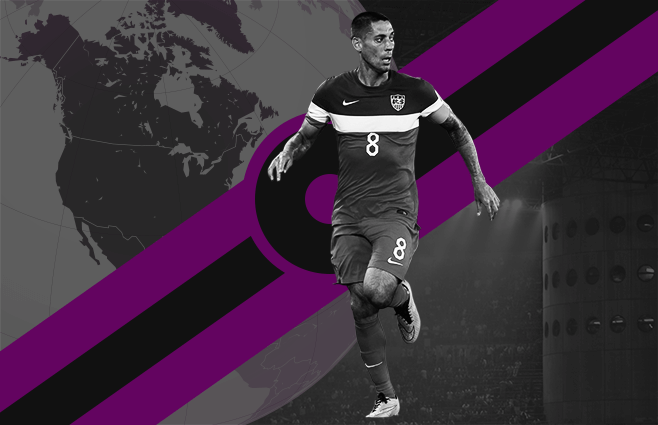 The sixth piece looks at the stand-out young star from North America. 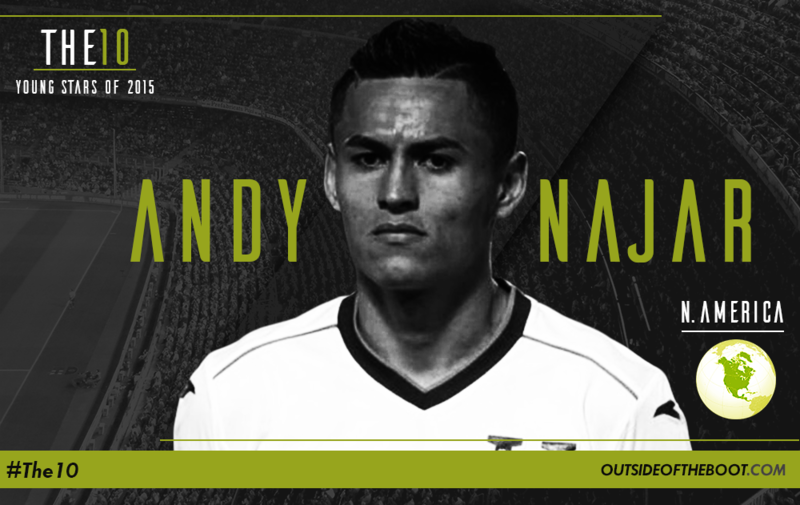 Andy Najar is a Honduran International who came through the DC United academy. 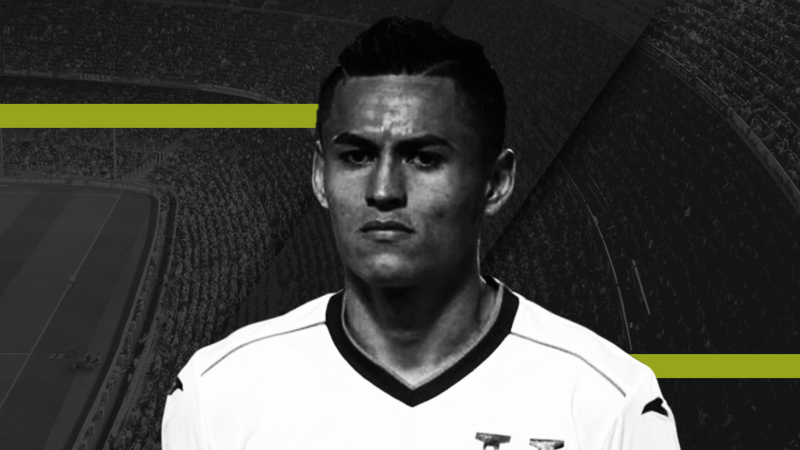 Najar moved to America at the age of 13 and was soon part of DC United’s academy. He wasted no time in impressing and quickly moved up the ranks making his first team debut at just 17. 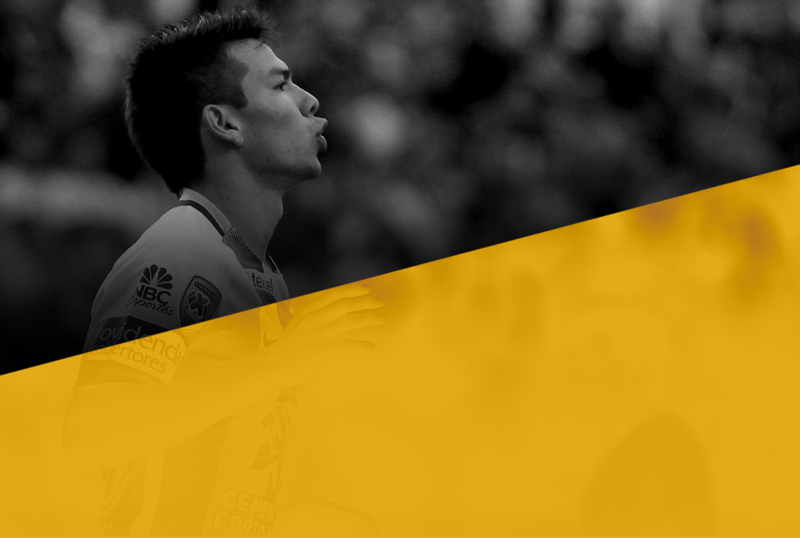 The Honduran International hit the ground running winning the MLS Rookie of the Year award in his debut season. After pledging his allegiance to Honduras, Najar impressed in the 2012 Olympics to earn a move to Europe in the form of Anderlecht. 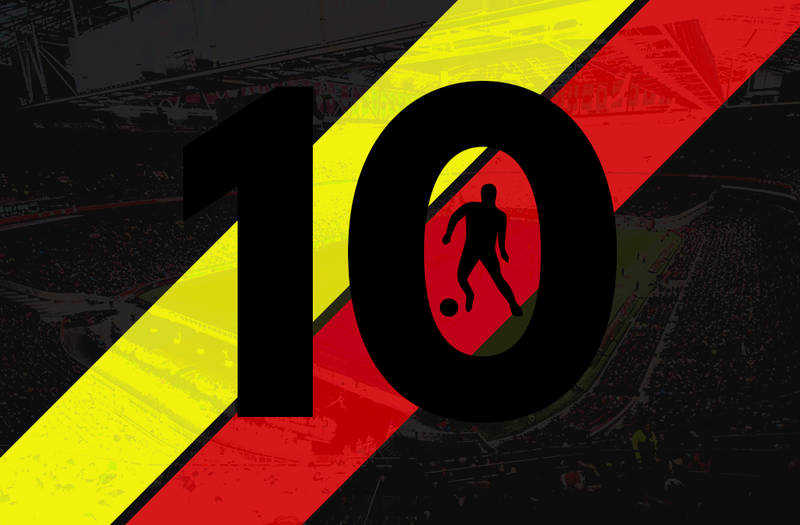 Mainly deployed as a right-winger, but capable of filling in at right-back, the Honduran International has acquitted himself well as he continued his development on European soil. The 22-year-old is a bright spark in an otherwise dogged Honduran outfit. Honduras don’t have the reputation of a free-flowing football team instead banking on organization and physicality to overcome often superior opponents on the world stage. Thus, Najar’s flair is crucial to his national team and even at just 22, is a player around him the team can be built. Najar has firmly established himself in the Anderlecht starting XI mostly playing on the right wing but more than capable of slotting in as right-back as mentioned previously. 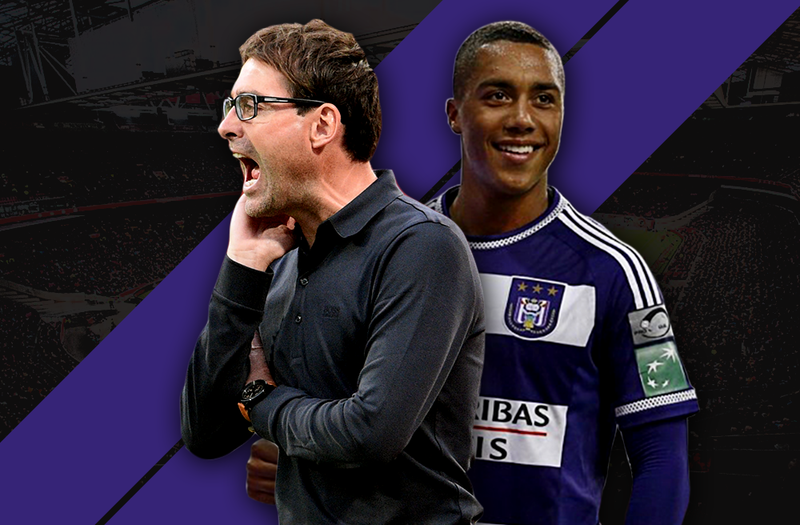 A third place finish in the regular season saw Anderlecht remain in the hunt for the title but an inconsistent playoff round saw them unable to close the gap to Gent. Najar had a playoff round to remember though as he notched up 4 goals, 3 of them coming in consecutive games, and 2 assists. Honduras had a disappointing Gold Cup campaign but they may not have qualified to the tournament in the first place. They had to overcome a 2 goal deficit in the first leg against French Guiana with a 3-0 win in the return fixture, a game in which Najar scored 2 crucial goals. The 22-year-old secured Honduras’ solitary point in the tournament scoring in the 1-1 draw against Panama. The youngster has been played as a right-back mainly this season in what has been a tight league. 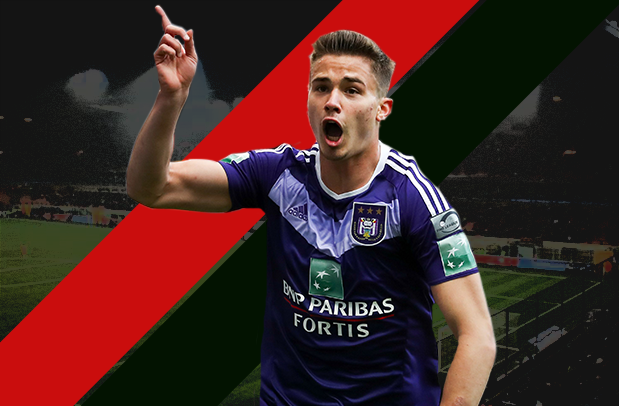 His most notable game thus far this campaign was the 2-0 win over Mouscron. Playing in a more advanced position, the winger scored both goals in the victory. Najar is very much a traditional winger who looks right at home in a wide role on the right hand side. The youngster mainly relies on speed and trickery to get past his adversary with a directness to his play that is refreshing. He possesses good balance and uses this to his advantage often trying to wrong foot his opponent with quick changes is direction and body feints. While he is comfortable going on the outside and delivering a measured cross or a precise cut-back, Najar makes his fair share of forays into the penalty box as you’d expect from a winger. He’s always on the move be it from right wing or right-back. Another small yet impressive feature of his game is his willingness to make back post runs when the ball is on the opposite wing. 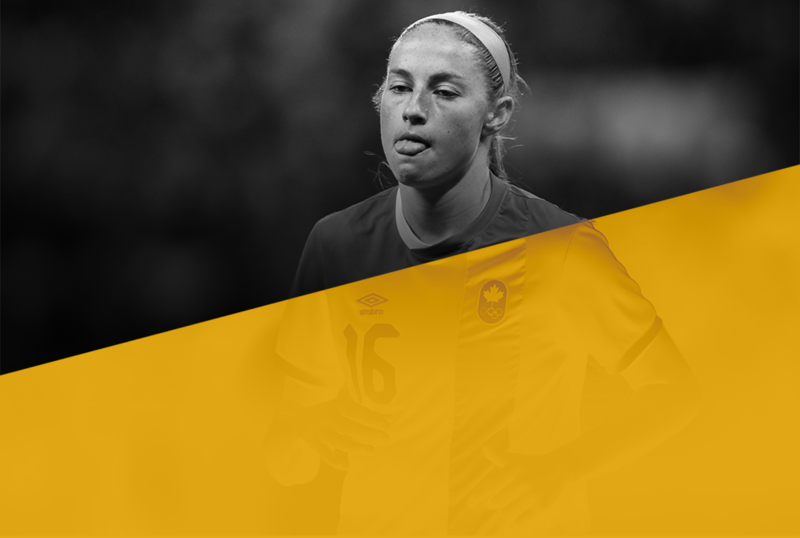 The run past the full-back and onto the blind side of a centre-back is simple to execute and can pay rich dividends if done properly. There is no doubt that Najar is already Honduras’ main man and should continue to be so in the foreseeable future. Once he’s back from his break from the International team, Najar should be the player the team should be built around. At a club level, Najar will be happy with his progress at Anderlecht but there’s no doubt that he’ll be on the lookout for a move to a bigger European club. Much was made of his ambition to join Arsenal after he scored at the Emirates last season as issued the age-old “come-and-get-me plea”. His future may be uncertain but regardless of his destination, Andy Najar is someone whose career is worth tracking for sure. John Chapman of Belgofoot told Outside of the Boot this about Andy Najar. This is how The 10 Young Stars of 2015 feature currently looks, as we reveal each individual, piece by piece. Next up is the Oceanian representative.